It’s been a while since I shared a watercolor tutorial, but I have a few more posts and projects still in the works. 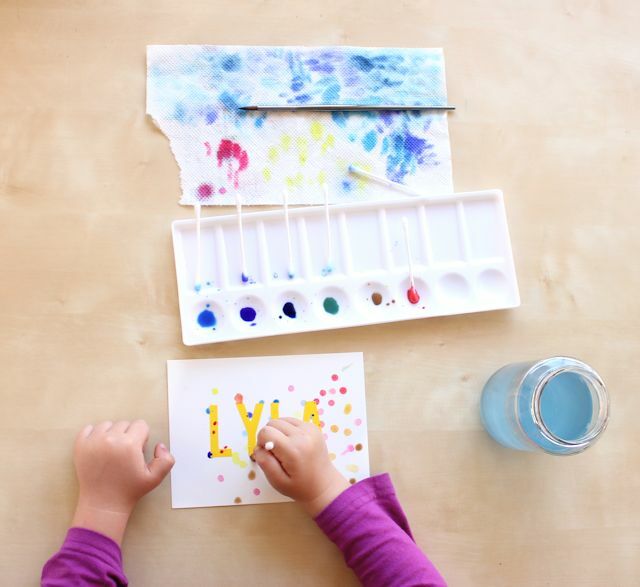 This polka dot watercolor art is really fun, and so easy that even little kids can do it. If you’re new to watercolors, I’d start with this post here: BASIC WATERCOLOR SUPPLIES. 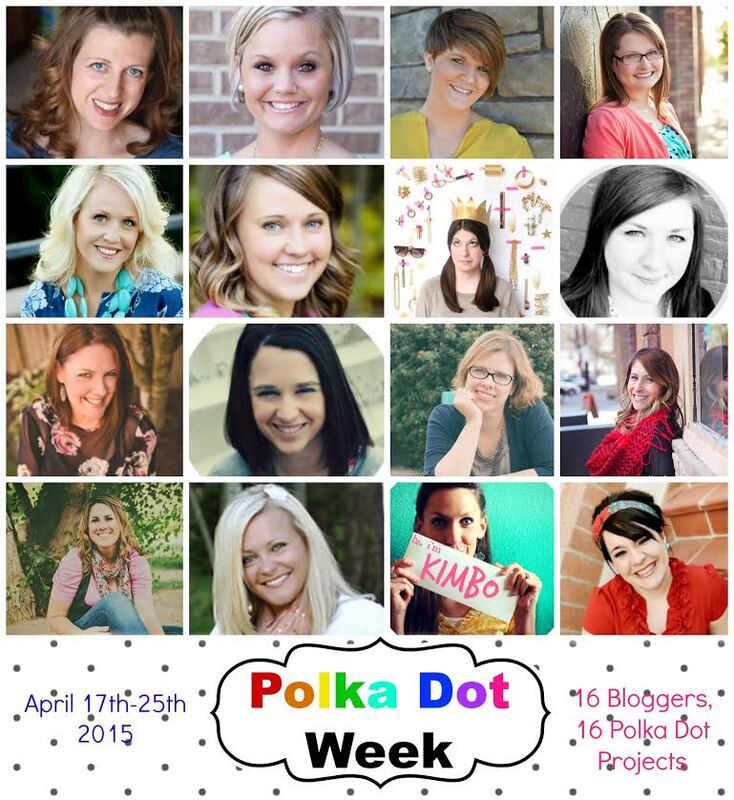 And if you love polka dots even half as much as I do, you’ll want to check out all of the great posts and projects happening during POLKA DOT WEEK! Thanks so much Rachel from R & R Workshop for organizing! 1. Start by mixing some watercolors with water in a palette. I ended out using the four different shades of blue that came in my set of 24 watercolors. You could play around with a lot of different fun colors and combinations. You may want to test your mixes to see if they need more water or more pigment. 2. Place your sticker letters on your paper. You may want to press the stickers on your hand a few times to make them slightly less sticky, so they don’t tear the paper when you pull them off. I actually used vinyl and my Silhouette to cut these letters, but stickers work just as well. 3. Dip a Q-tip in water, then in one of the colors. 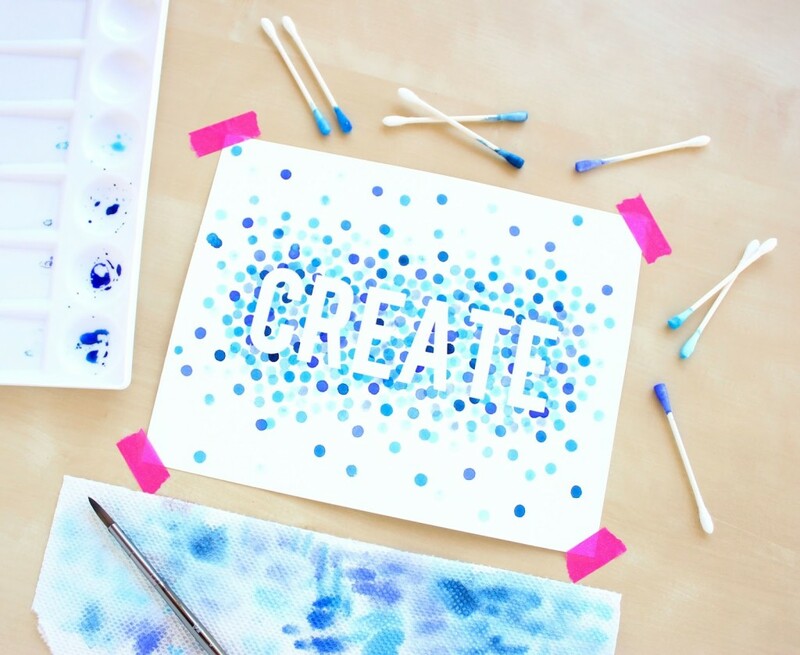 Start pressing down all over your paper to make little watercolor dots. You want more dots closer to and right around the letters. 4. Switch colors and add more dots. It’s really important that you don’t let dots overlap while the paint is still wet or even a little bit wet. Keep adding colors and placing more dots. 5. Take a little break and let all of the dots dry. 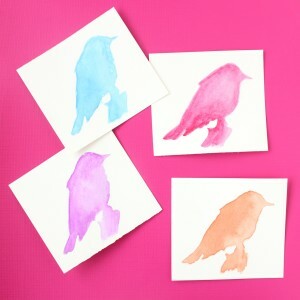 You may need to add a little water to the watercolors you mixed in your little palette to keep them from drying out. Tip: Even after watercolors have completely dried on your palette, you can add water to them and they will still work perfectly. 6. Go back in and add some more overlapping layers once the first set of dots are dry. It’s really important that there are a lot of dots directly on and around the sticker letters. If you leave too many of the edges blank, the letters won’t look crisp and clear. 7. Let the second layer dry, then carefully peel away the stickers, and enjoy your little work of art. 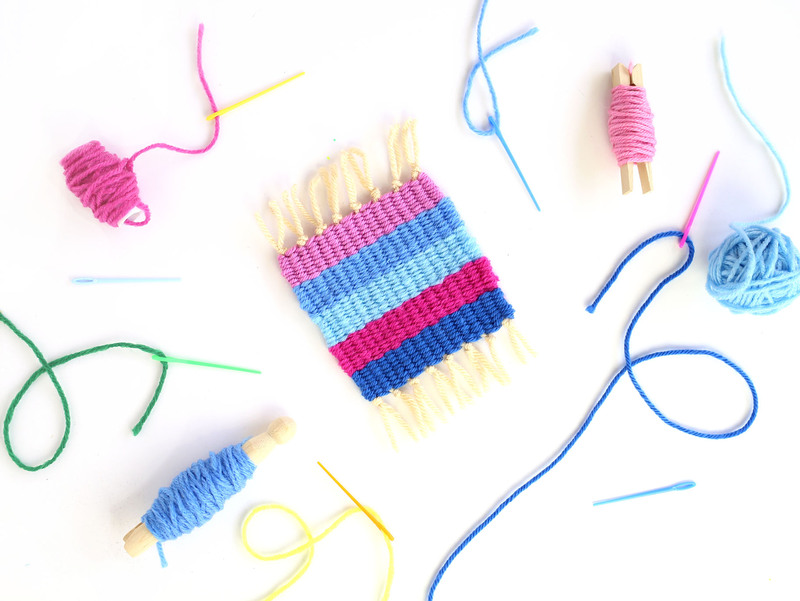 This is also a really fun craft for kids. 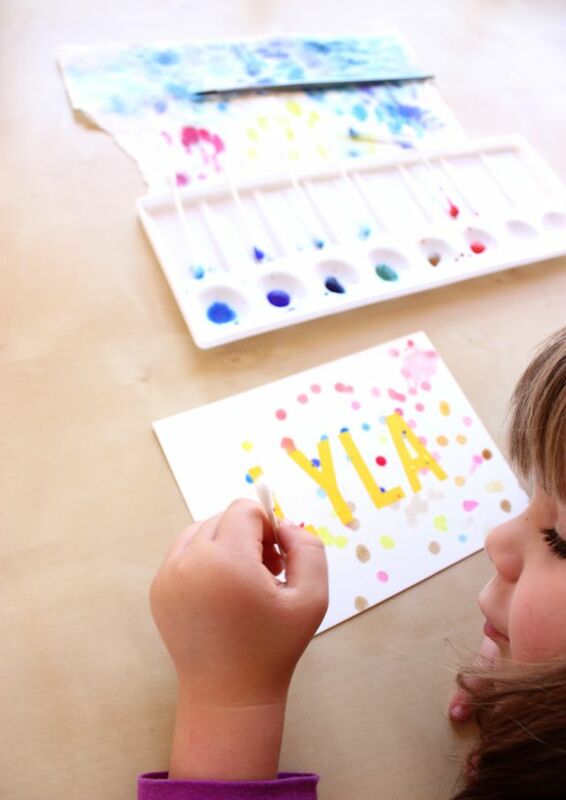 I added some letters to another piece of watercolor paper and mixed up a few colors for my 4 year old daughter Lyla. Although she definitely started mixing some colors together and ended up with a lot of brownish dots, and she wanted to add some pencil drawings to the mix, it still turned out cute, and she had a lot of fun. 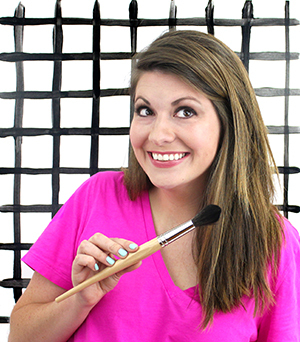 This girl loves painting maybe as much as I do, and it really is a great joy to make projects with her. 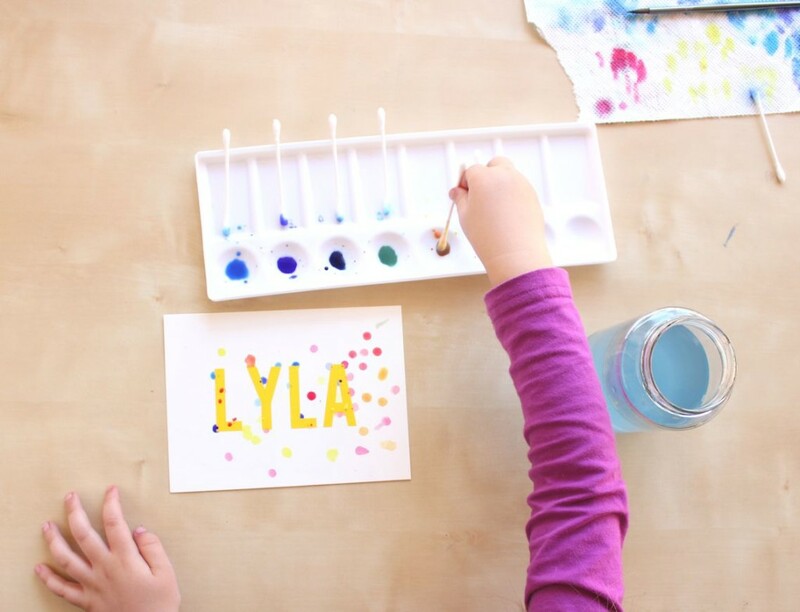 I was looking for a simple way to make a colorful name tag, this just might be the answer. Thank-you. Rachel, aaaah-wesome DIY! I should so make a DIY t-shirt with such print! Your projects always turn out sooo cute! 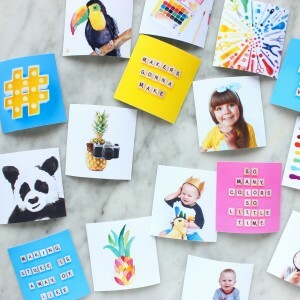 I love how this is easy to customize and quick! Thanks!! Thanks! This is definitely a fun quick project with lots of possibilities.